The idea for Spellirium is one that consists of two major genre mash-ups. On one level, this is a standard, point-and-click adventure game with a sense of humor. In that regard, it feels very much like an homage to classics like The Secret of Monkey Island. 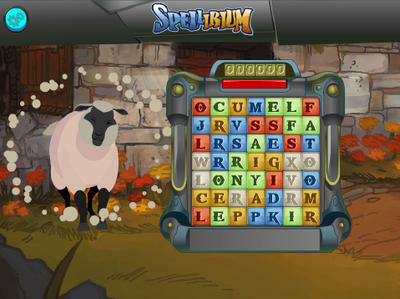 On another level, Spellirium turns into a fast-paced, word puzzle game. Think something along the lines of Bookworm from PopCap or Boggle from, like, Hasbro…dude. I had a chance to check out an alpha build of Spellirium for the PC. The game, insofar, is wonderful. The two elements at work here, point-and-click adventure meets word puzzle game, work really, really well. A word match made in H-E-A-V-E-N. I played the entire prologue and through all of Act One of this game before I started drafting this preview. Part of that came at the request of my PR contact, the other part came because I genuinely didn’t want to stop playing. Of course, I forced myself to close the program as I knew it would get even better with time. I’d much rather play a finished project to its conclusion than plow through its alpha build. What I saw, though, was great. Aside from the charming art style, one of the first things you’ll notice in Spellirium is its abundant humor. It’s rare that a game today makes me audibly chuckle while I’m playing, but Spellirium managed to do it without music or voice work, a feat in and of itself. That humor spreads to plot elements, characters, character dialogue and the obstacles players encounter. In the realm of Spellirium, all words and language have been outlawed by an evil ruler. After the “Reset,” as it’s called in the game, the world loses touch with the ability to read and write. The only ones still capable of such are the Runekeepers, those who secretly study language. Understanding all of that makes the jist of Spellirium easy to picture. Words, now that they’re outlawed, have become powerful weapons. Players find a spelling thingy at the onset of their quest and use it to battle monsters and solve problems in the world around them. 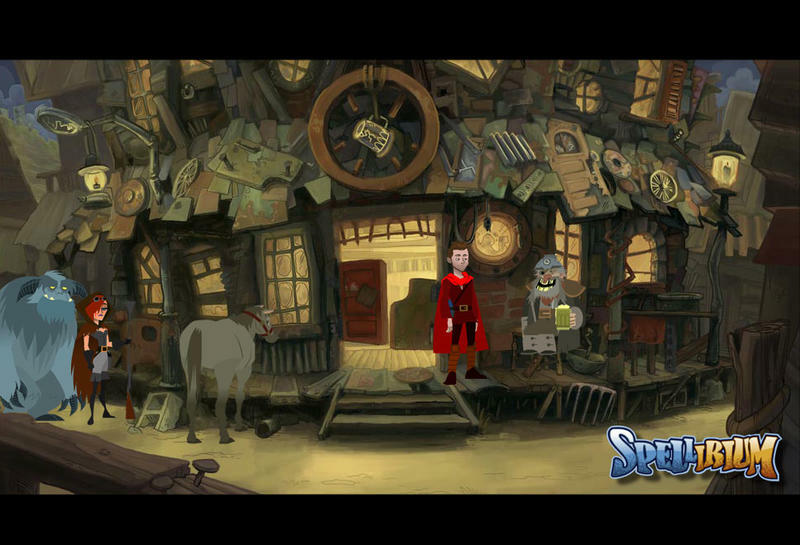 Like I said, a funny, classic, point-and-click adventure meets a word puzzle game head on in Spellirium, and it works. This was an alpha build. As such, as it’s explained on the game’s official FAQ, it’s incomplete. Some voice work, music and assets are missing. It’s also not nearly as smooth as it will need to be for launch. Personally, I hope the feeling of spelling words is better upon release. For now, you highlight letters and they fall from the board. There needs to be more aural and visual reward to matching them together. Little touches like a nice sound effect or more visual rebound will work towards making puzzle solving more addictive, and that type of gameplay could propel this thing much further. Untold has asserted that the work will be done, but this alpha feels exactly like it should: unfinished. That’s not a point of critique, just an establishment of where things stand. This is a preview of Spellirium in its current form, after all. Ryan Creighton, with the help of freelancers of all kinds, has been working on Spellirium for more than five years. What we were able to play is still an early build of his current pitch. Folks who read this preview and think the game is right up your alley (it probably is) can actually help fund Spellirium and vote it into Steam’s Greenlight program. The good news, if you kick in some scratch directly to Untold by way of Spellirium‘s official site, you can play the same Alpha build we checked out for this preview. That’ll run you $15. Spellirium is an inventive offering that manages to span the gap between two wonderful gaming genres. Even in its alpha form, the ideas at play for this title seem genuinely clever. There’s work to be done, but if Untold Entertainment sees this thing through to a well polished product, Spellirium will be wonderful. When it releases, Spellirium will be available for the PC and Mac platforms.